Your front doorway is a busy place. With visitors introducing themselves, your kids charging in and out, packages arriving, and hellos and goodbyes galore, it’s hard for you to keep track of everyone who passes through. 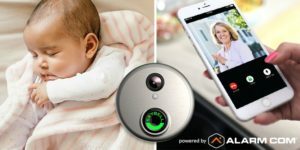 It’s no wonder that doorbell cameras are now a smart home must-have, thanks to their ability to show you who’s at the door, no matter where you are. When a visitor presses the button on SkyBell, everyone who has an approved mobile device will simultaneously receive an alert that somebody is at the door. 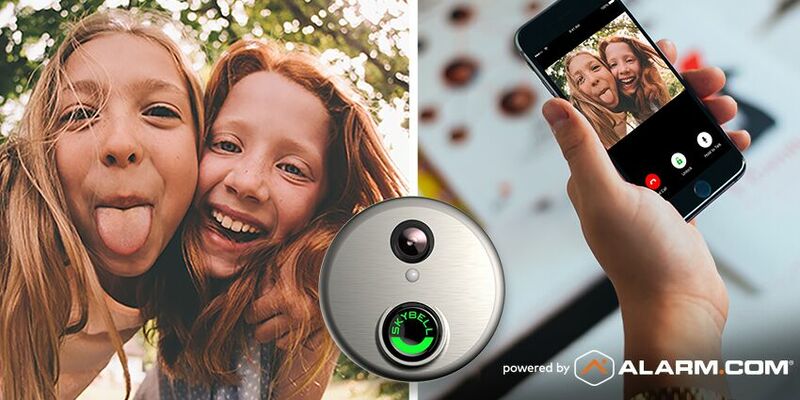 If you accept the alert, SkyBell’s video camera will send a live video feed to your smartphone so you can see, hear and speak to the person at your door. Because these doorbell cameras are fully integrated into your Action24 alarm system, they’re powered by Alarm.com and able to cooperate with other devices. That gives you and your family more ways to incorporate your doorbell camera into your everyday life.